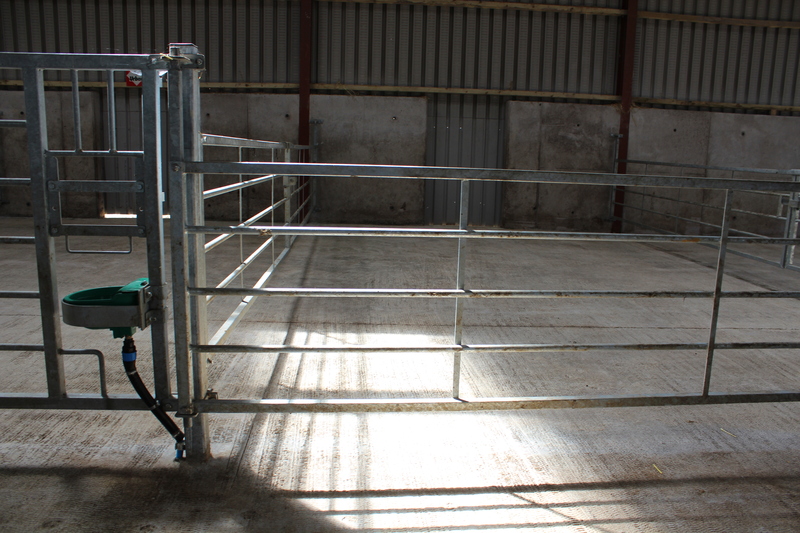 All calf penning gates are height adjustable with stock proof latching. 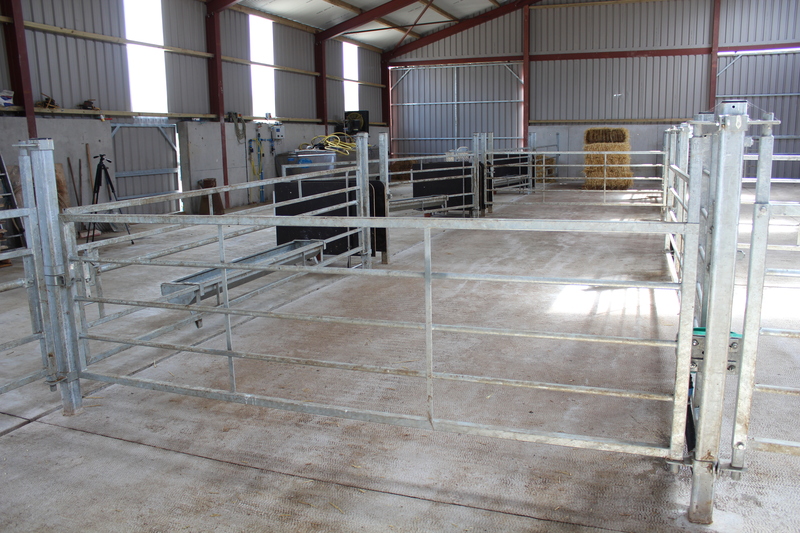 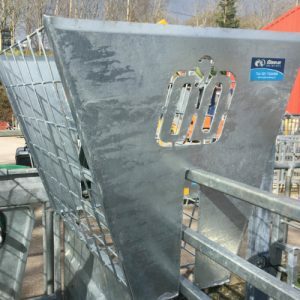 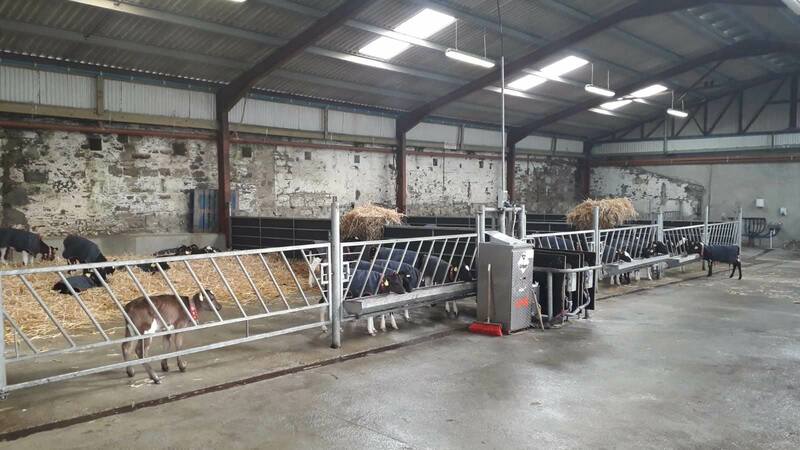 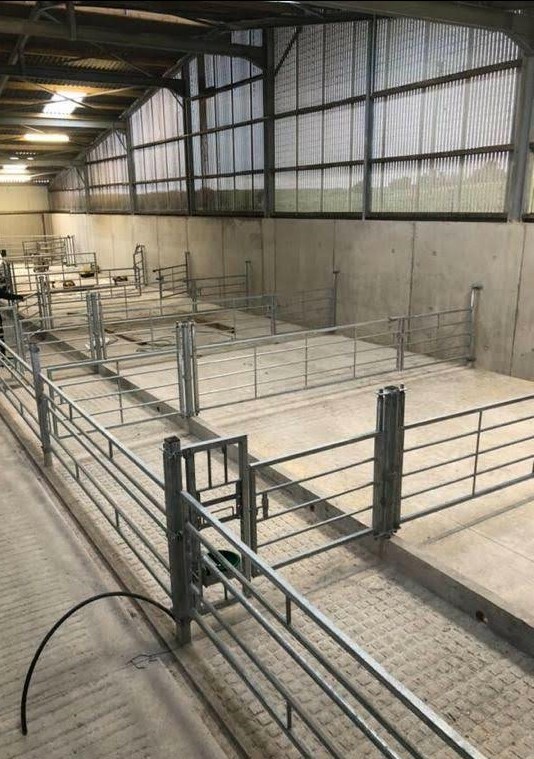 There are diagonal or horizontal bar feed gates available to suit any setting. 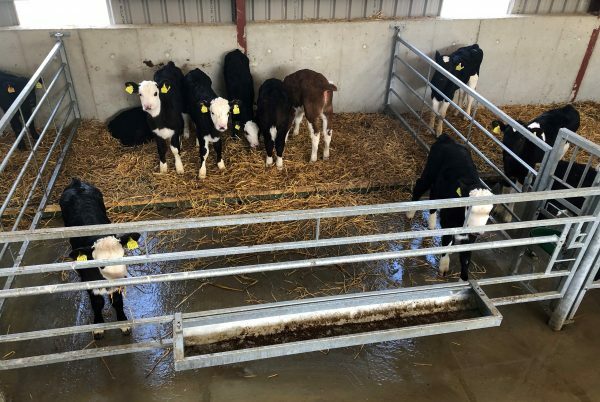 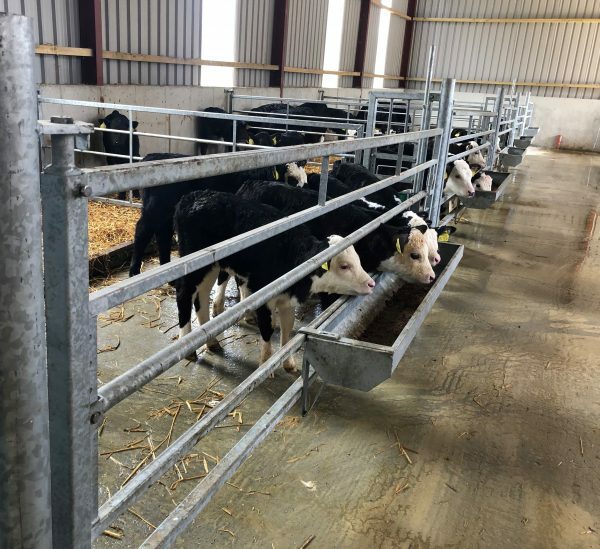 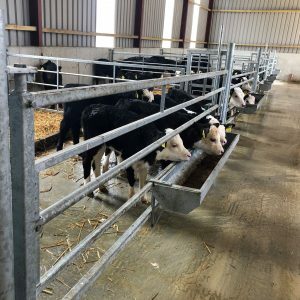 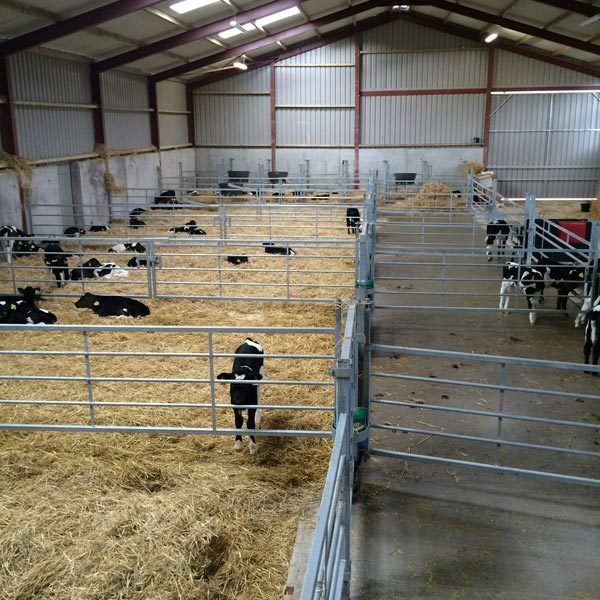 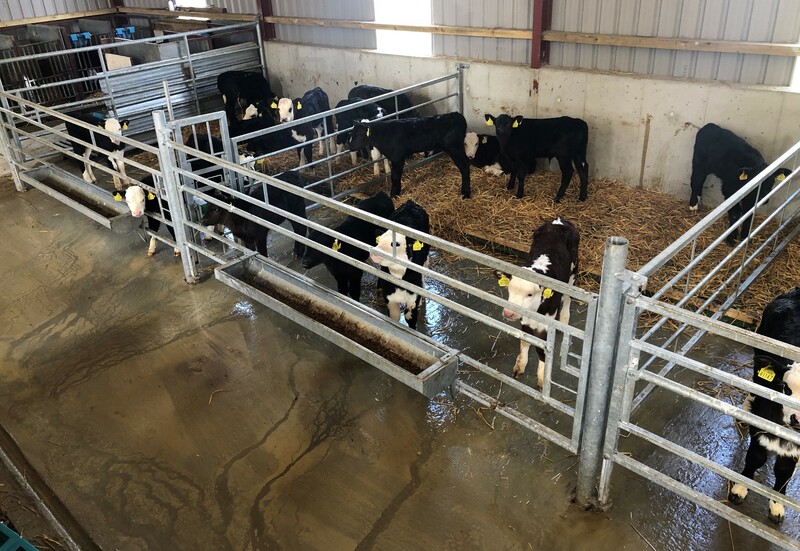 We have plastic slats available to provide extra comfort for your calves in lie back area, reducing labour and cost of bedding. 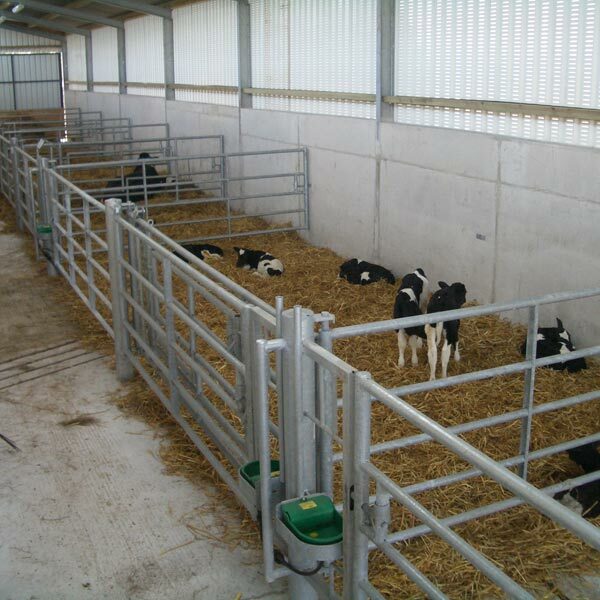 Calf Group Penning can be made to suit any situation and any group of animals. 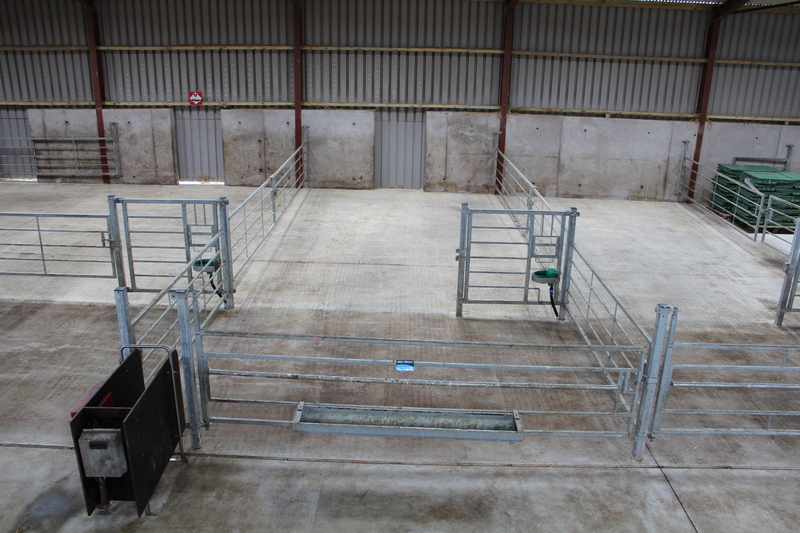 We have multiple design option or we can design to spec. 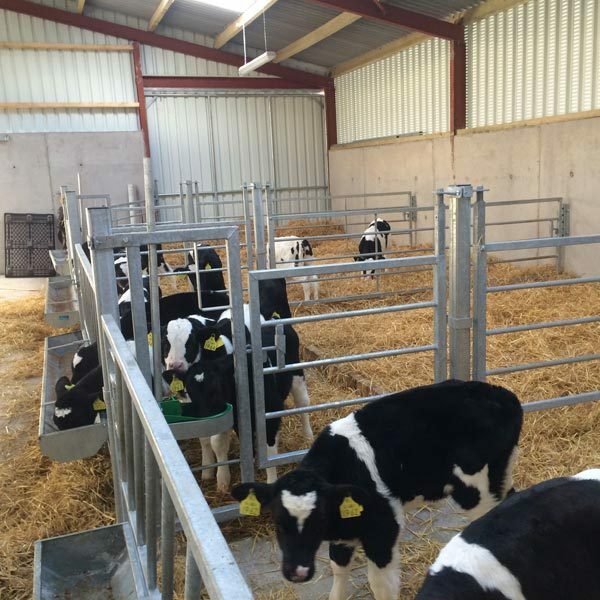 Feed troughs and drinkers are essential for any calf group penning facility. 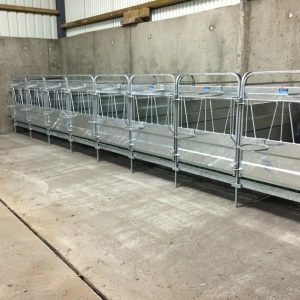 We have a wide range of feed troughs available suitable for milk or meal. 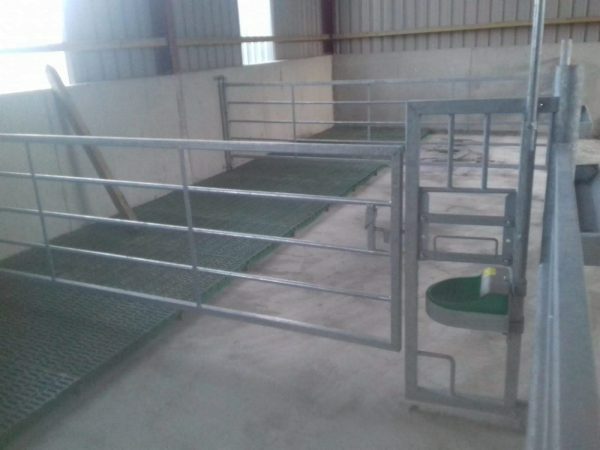 There are both saddle and wall mounted hayracks available to suit any type of pen. 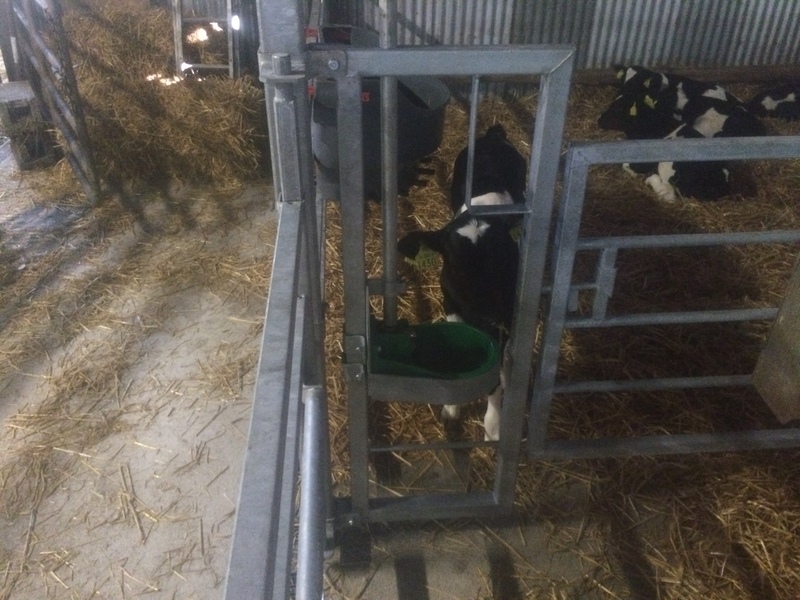 We have a wide range of plastic and cast iron drinking bowls available with protection frames to prevent the drinker from any damage. 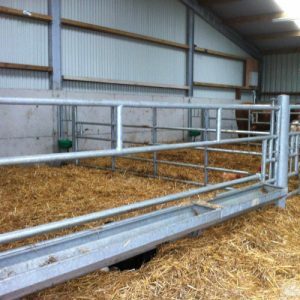 All Calf Feed Barriers are height adjustable and have stock proof latching. 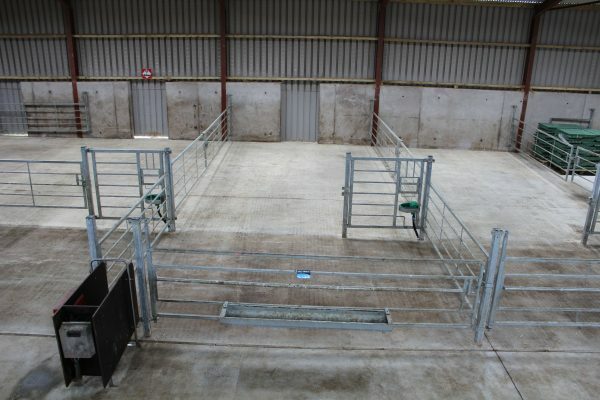 The stock lengths of this style are available in lengths of; .85m, 1.25m 1.94m and 2.5m.